Step 1: Take a clean bar of soap (designate it solely for your brushes) and run it over the soap – an up-down movement, as if you are painting. Step 2: Run it over the soap till all the colours are gone, then continue to rinse it out till the water runs clean, with the same movement on your fingers or palm. 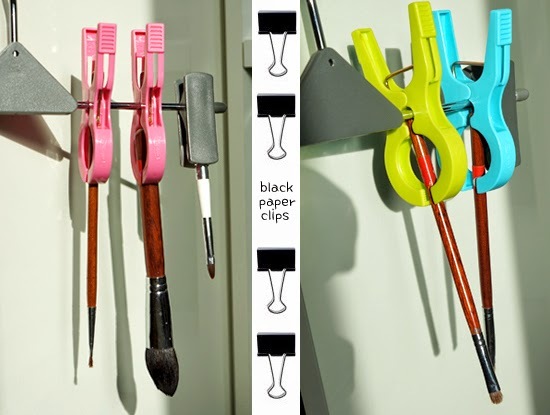 Step 3: It’s important to dry it in a vertical angle to avoid the glue from loosening. 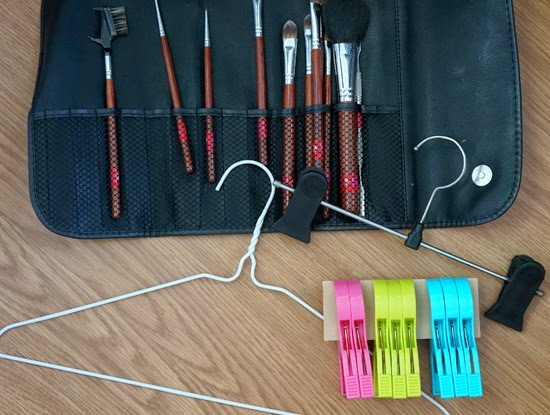 Step 4: Take a hanger and clip on the brushes; let it dry overnight in a shaded area. 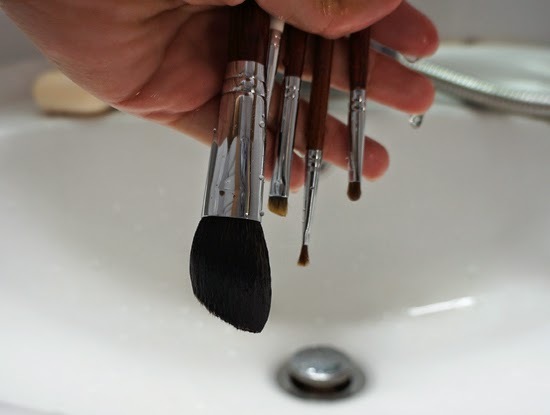 *Soap washing is more gentle on the brushes in comparison to using chemical brush cleaners, daily. Original article posted on tonguechic.